Swamps (usually deciduous, rarely cedar or tamarack); floodplains, marshes and thickets along rivers, lakes, and ponds; mucky hollows and depressions in forests; occasionally in moist fields and ditches adjacent to swamps; common. 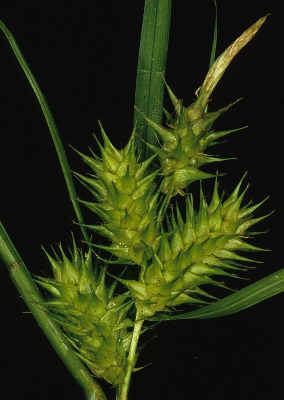 Plants of this species sometimes bear a close superficial resemblance to C. retrorsa, from which they differ in their slightly longer and thicker, strongly ascending perigynia, with more nerves. A few specimens, sterile and with intermediate morphology, appear to be hybrids with C. lurida, C. retrorsa, or C. vesicaria. MICHIGAN FLORA ONLINE. A. A. Reznicek, E. G. Voss, & B. S. Walters. February 2011. University of Michigan. Web. 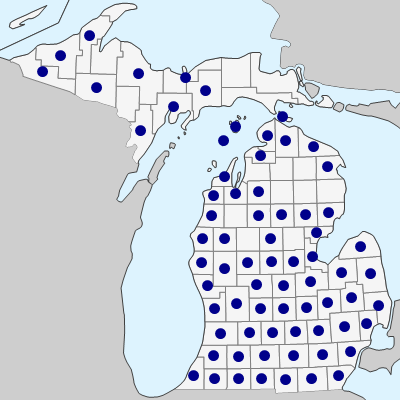 April 21, 2019. https://michiganflora.net/species.aspx?id=1002.